While St. Paul’s fourth rector, William Ingraham Kip, is certainly the best-known of our early clergy, his fame is principally due to his later service as the first missionary bishop — and subsequently first diocesan bishop — of California. But Kip deserves our respect and remembrance as well for his role in leading this congregation through an early financial crisis that we might not have survived. 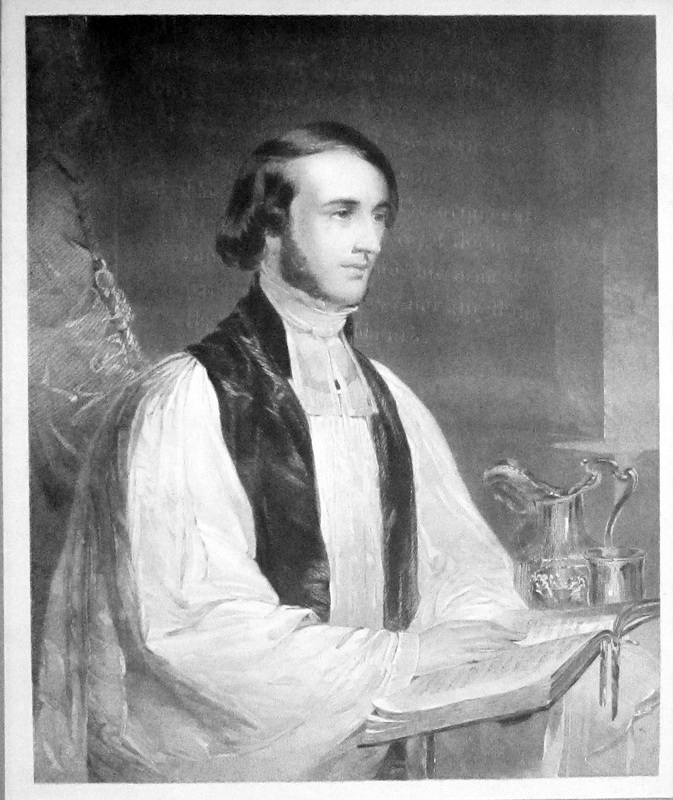 Within months of Kip’s appointment as rector in 1838, it became apparent that the congregation was (in the words of a contemporary vestryman) “hopelessly wrecked.” Kip and a new group of lay leaders had no choice but to sell the Ferry Street church in order to pay creditors. It was their genius, however, to realize that if the church was to survive it could not stay in Albany’s South End. Under Kip, the Pearl Street Theater was purchased and renovated, relocating the congregation to what was then the center of Albany’s most upscale neighborhood. In that new location, with dynamic leadership, both ordained and lay, the congregation thrived. The years that followed this new beginning were busy and stressful ones. While major creditors had been satisfied by the sale of the church, for several more years others submitted claims for payment. Kip led through this difficult period, attracting many new parishioners with his dynamic preaching. During the winter of 1842-1843, he also gave a series of lectures that were to be published as Double Witness of the Church, one of the most popular and influential books of theology in the Episcopal Church in the mid-19th century, printed in 25 editions. The suddenness of this announcement may have surprised the vestry, but illness among clergy in this period was common. 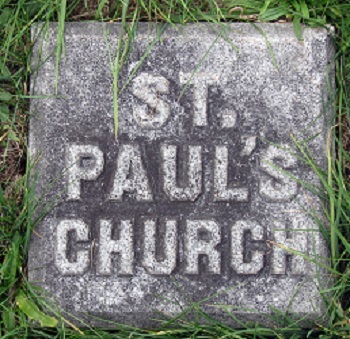 St. Paul’s, in particular, had far too much experience with illness among its clergy. 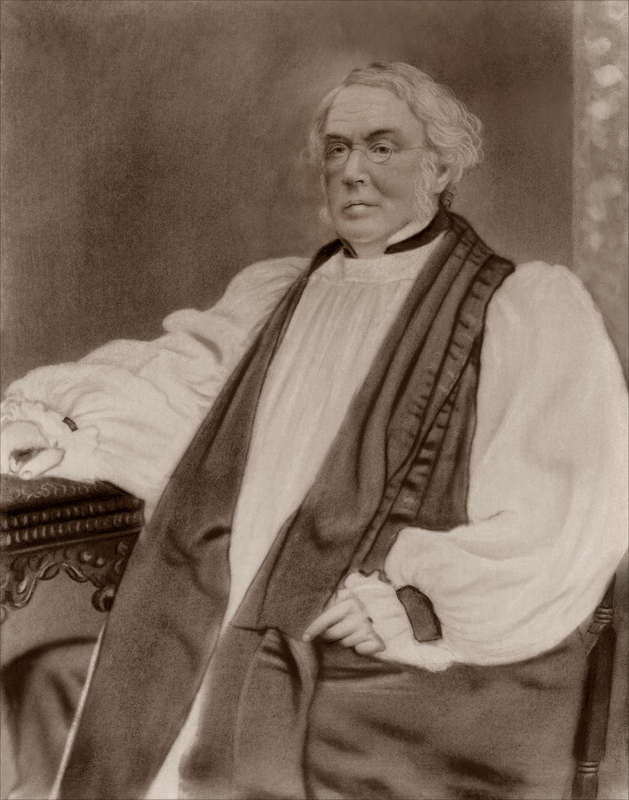 Our second rector, William Linn Keese, came to Albany already in frail health, which was further worsened by his providing pastoral care for both St. Paul’s and St. Peter’s Church during the cholera epidemic of 1832. He was forced to resign in 1833, his health completely broken, and died three years later, at the age of 33. Kip’s immediate predecessor, Joseph H. Price, on his resignation had cited “the severity of the climate of Albany.” And Kip’s successor, Thomas Alfred Starkey, was on medical leave for the last six months of his term as rector. Therefore it is unanimously resolved that the good wishes and earnest prayers of the Vestry for the safety and preservation of our much esteemed Rector and his family accompany them on their contemplated voyage to Europe, and their Tour on that continent, and that under the blessing of Divine Providence they may return in safety, and that with a renovated constitution he will again resume among his congregation the exercise of his holy functions. By January 9, 1845, Kip was in Rome, where he wrote a second pastoral letter. He seems to have spent the majority of his leave in Rome. Both letters were later published for distribution in Albany. Kip took almost the entire year’s leave granted by the vestry. He returned to Albany in August 1845, and preached his first sermon on September 7, 1845. The leave of absence proved fruitful intellectually. Before the year was out, he had published Christmas Holydays in Rome, and he later wrote The Catacombs of Rome, which used research that he had done on the trip. 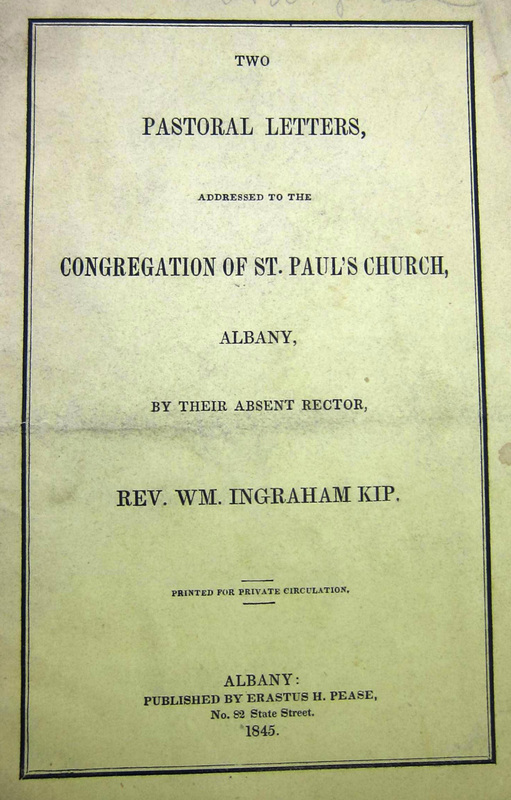 Kip’s leave of absence seem to have succeeded in restoring his health; he served the rest of his term in Albany in apparent good health, resigning in 1853 when he was elected missionary bishop to California. This entry was posted in Clergy, Wm. Ingraham Kip on September 16, 2015 by Paul Nance.